Kundalini awakenings can have profound physical, emotional, and mental effects, making it difficult to cope with everyday life, yet these powerful awakenings can also allow you to release past trauma, see past the illusions of the false self, and awaken your spiritual heart, enabling you to recognize the divine self. 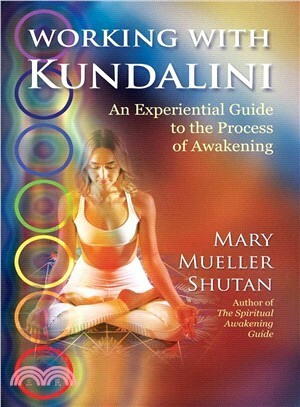 In this step-by-step guide to the 3-phase process of Kundalini awakening, Mary Shutan delivers practical information on how to deal with such a spiritual emergence in our modern world. Starting with her own story, she describes the nature of Kundalini energy, the reasons for the energy rising, and the connection to the chakra system. Debunking the myths associated with Kundalini awakening, she explains how the first phase of Kundalini rising involves a surging up of fire—the fire of purification. It releases the past, liberates you from past bondages and beliefs, and disrupts the neuro-endocrine systems of the body. The second phase involves expansive experiences of ecstasy, peace, bliss, and emptiness states as the upper chakras open, greater perspective on life comes in, and you connect with cosmis consciousness. The third phase, the opening of the spiritual heart, is a shift from upward-flowing energy to a downward flow of grace into the heart center, leading to compassion, re-anchoring in the world, and the embodiment of light. Exploring how Kundalini profoundly rewires the physical body and the mind, the author describes the rerouting of digestive fire during the rising of Kundalini energy. She explores the relationship between Kundalini and food allergies and sensitivities as well as supportive dietary and alternative health modalities, including fasting; paleo, keto, vegetarian, vegan, and mono diets; herbal allies; mineral supplements; and work with gemstones. She also explores sexual practices that may help or hinder the process and meditation techniques to facilitate Kundalini awakening during each phase. Providing detailed guidance for each phase of Kundalini awakening, this experiential guide supports you as you transform not only emotionally and spiritually but also physically and socially into your divine self. Mary Mueller Shutan is an acupuncturist, herbalist, craniosacral therapist, zero balancer, and spiritual healer. Author of The Spiritual Awakening Guide, Managing Psychic Abilities, and The Body Deva, she has helped hundreds of people worldwide through her programs and consultations. She lives near Chicago, Illinois.